He was born May 20, 1952, in Lewis County, a son of the late Paul Teager and Jewell Hamlin Teager McGlone. Johnny was retired from the Lewis County Fiscal Court System where he worked as the Solid Waste Coordinator. He enjoyed hunting, fishing, watching UK Basketball, and spending time with his grandchildren, Shelby and Jared. In addition to his parents, he was preceded in death by two brothers, Billy McGlone and Butch McGlone. 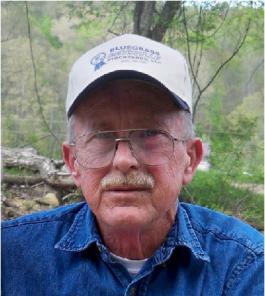 Johnny is survived by his wife of 33 years, Jill Johnson Teager; one son, Brandon Teager of Vanceburg; one daughter and son-in-law, Emily and Jeremy Williams of Vanceburg; two grandchildren, Shelby Williams and Jared Williams; seven brothers and two sisters-in-law, Terry and Mary McGlone of Cartersville, Georgia, Tony McGlone of Vanceburg, Timmy and Kathy McGlone of Manteno, Illinois, Troy McGlone of Vanceburg, and Larry Teager, Alex Teager, and Billy Teager, all of Hamilton, Ohio; and one sister and brother-in-law, Paula and Ernie Hampton of Manteno, Illinois. He also leaves many other family members and friends who will sadly miss him. Services were Saturday, February 13, 2016, at Dickerson Funeral Home in Vanceburg with Bro. Kevin Cornette officiating. Burial was in Lewis County Memory Gardens at Black Oak.